The most important goal of a wedding is that the guests feel comfortable and happy during the whole celebration, feeling part of the couple’s happiness. Lots of couples prefer to give to their guests something extra, that isn’t only a simple gift, but that will remind them of this special day. There are infinite possibilities and, for this reason, it’s not easy to choose a nice gift that best represents you, so we want to give you some ideas for your wedding gifts. Don’t forget to take notes! A gift idea could be to give fashion accessories, for example a shawl that they can use during the wedding if it gets chilly, or ballerina shoes or flat shoes, so they can enjoy the dance all night, without suffering in high heels. Furthermore, they can use these presents on other occasions. We suggest that you offer different colours and models, giving your guests the opportunity to choose. A new trend is to give your guests a plant. We mean potted plants that are more weather resistant, for example succulent plants and cacti. If you prefer, another nice idea could be to give small bags with fragrant flowers, that can be used for perfuming closets. Furthermore, you can personalize the bags with names and the wedding date. What do you think about your country’s traditional dessert or drink as wedding gifts? It’s a perfect and very personal present because it refers to yourself and your origin. 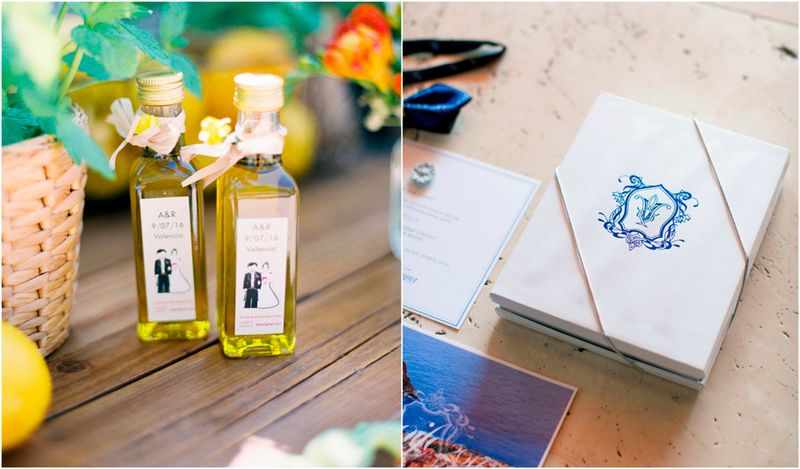 For example, you can give sweets in small bags that they can keep as souvenir, artisanal coffee, a nice typical liquor bottle, a jar of honey, oil, marmalade, etc..
Our bride and groom, Richard y Anastasia, gave their guests this beautiful bottle of oil with their names and the wedding date. Beauty accessories could be a good idea, and you can choose between different options: a lip balm with a special box, pocket mirrors, hand cream, or scented soap too. The most important thing is that the packaging is pretty and that it refers to your wedding. Now let’s talk about the most durable gifts, the decorative accessories. It’s essential to think about something that everyone can appreciate and is nicely presented. Candles are a perfect option and you can choose between different sizes, shapes and containers. Your guests will love your idea and treasure it. You can also gift the wedding glasses or cups in which the coffee will be served during the wedding, that you can personalize with your names and wedding date. If you are looking for a present that could be very personal, an idea is to give your photo with an inscription for each guest. You only have to prepare the photo that you like the most and write a meaningful message. 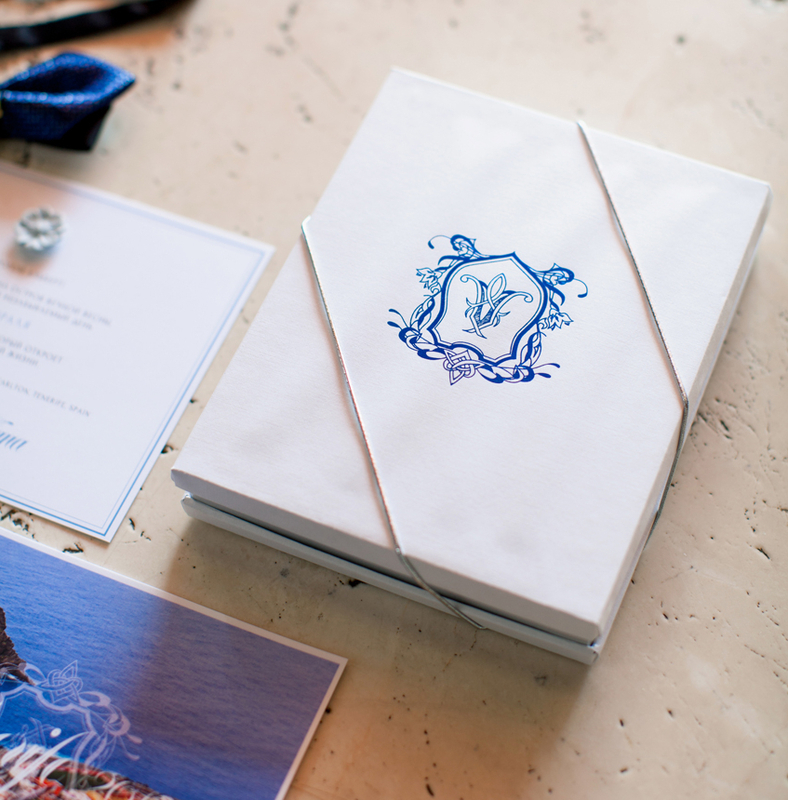 Our bride and groom Anita and Alexey decided to give this nice box to their guests with their wedding logo and some postcards of Tenerife, where their wedding took place. It was a pretty touch. What do you think about these ideas? As we discussed, there are a lot of possibilities, but the most important is to choose something that represents you and that is a beautiful souvenir of your special day. 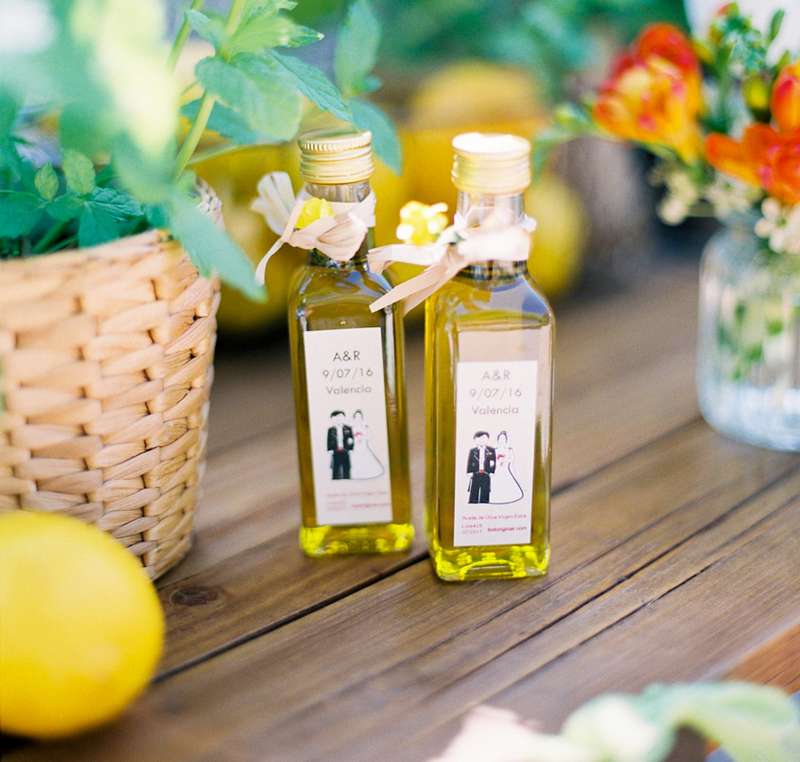 You guests will love your wedding gifts!